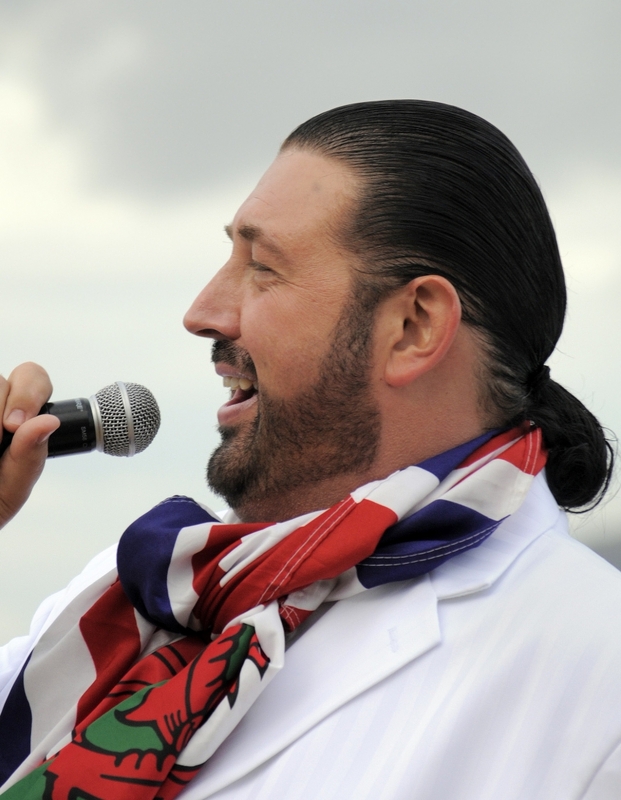 Over 80 million viewers globally recently saw Anthony Stuart Lloyd perform on BBC World, in its coverage of the Titanic 100th Memorial Cruise memorial service for which he was specifically invited for to cater for an international audience from nearly 30 nations. An international career on the lyric stage seemed a million miles away from being brought up by a single mum on an infamous council estate in Cardiff. After graduating from catering college a Sir Geraint Evans Scholarship enabled Anthony Stuart Lloyd to attend The Royal Welsh College of Music and Drama, where awards and accolades soon followed including the prestigious Blue Riband at The Royal National Eisteddfod and the MOCSA Young Welsh Singer of the Year Competition, the inaugural Sir Geraint Evans Memorial Prize and a Welsh Arts Council 'Young Welsh Singers Prize' at St. David's Hall, Cardiff. In London's West End, Anthony's appearances including Jacob in 'Joseph and the Amazing Technicolor Dreamcoat' opposite 'H' from Steps and The Ghost of Christmas Present in the London Palladium production of 'Scrooge – The Musical' opposite Shane Richie on its UK tour. He recently made his Broadway debut as "Diamond Jim" Brady in the world premiere presentation of 'Evening Star: The Life of Lillian Russell' a new play with music based on the life of Lillian Russell opposite U.S. international soprano Dorothy Stone in the title role at the Ripley-Grier Studios, New York. Welsh National Opera, recognizing the immense potential of the young Welsh artist cast him in several principal roles. His vocal talent then drew him to the attention of continental Europe where he sang for numerous houses including; Freiburg Opera in the Black Forest initially, where he was nominated as best newcomer in 'Opera World Yearbook' and Toulouse Capitole Opera. On the concert platform he has sung with The London Symphony Orchestra, The Royal Philharmonic Orchestra, The Bournemouth Symphony Orchestra, The BBC National Orchestra of Wales to name a few. Of the many prestigious events Anthony has been invited to appear at, highlights include: a Royal Command Performance in the presence of His Majesty The Sultan of Oman, The Welsh Assembly Government's 'Wales@Wafi' in Dubai for His Highness Sheikh Juma bin Maktoum, 'Visit Wales's' events at Ottawa's Chateau Laurier & National Gallery of Canada, the Not Forgotten Association's Veterans Day Show in the Armoury at The Tower of London which lead to an invitation to appear at their Garden Party at Buckingham Palace attended by Princess Ann The Princess Royal and Cardiff Bay Development Corporation's 'The Emerging Vision' in the presence of the late Diana Princess of Wales. Anthony Stuart Lloyd's film, television and radio appearances include: NBC's 'Today Show', TVNZ's 'Good Morning', ABC Darwin's 'Arvos with Annie Gastin', NZ's 'The Home Run' on Times FM, title role in 'Saint David', HTV's 'Art Talks' with Mal Pope, Black Bob in 'The Little Sweep' (Avanti/S4C), BBC Radio Wales's 'Nicola Heywood Thomas' show. His film voice-overs include Sparafulile in the Operavox puppet animation of 'Rigoletto', 'Twin Town' (Figment Films), Chisan in 'The Warrior' (Medusa Films) and Chiboo in 'Unseen Evil: Revenge of the Chiss' (Laughing Tree Productions). He has voiced video trailers for international illusionist Andy James and public announcements for Cunard Line's luxury liners. Anthony has compèred numerous events including 'Songs from the Last Millennium' at UWIC, Cardiff. He recently narrated and sang in the world premiere of what is thought to be the first cantata to be written for more than half a century 'Great is the Story: The Nativity' written by Welsh composer Eric Jones. His after-dinner speaking engagements include being the only male among 150 women speaking for the Cardiff Ladies Luncheon Club! Where 300 jellified knees needed to be replaced after the event!! Anthony Stuart Lloyd recently made it to the blind auditions for the BBC's 'The Voice' and after their chairs turned, fellow Welshman and international icon Tom Jones praised Anthony's tone of voice, whilst fellow judge Will.i.am would love to hear Anthony's voice in movie soundtracks and voice-overs.